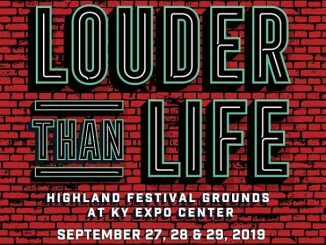 Tickets go on sale Friday, October 26th at 10am local time. For more information, please visit HERE. Citi cardmembers will have access to purchase U.S. presale tickets beginning Monday, October 22nd at 10:00am local time until Thursday, October 25th at 10:00pm local time through Citi’s Private Pass program. For complete presale details visit www.citiprivatepass.com. 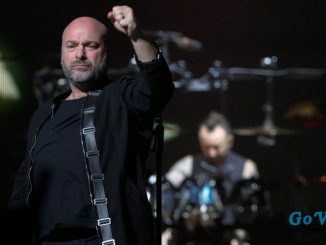 Disturbed (vocalist David Draiman, guitarist Dan Donegan, drummer Mike Wengren and bassist John Moyer) is touring in support of much-buzzed-about new album Evolution—which arrives tomorrow(! )—and lead single “Are You Ready,” which hit No.1 on Billboard’s Hot Mainstream Rock Tracks Chart and has maintained that position for 4 consecutive weeks. The song, which is the band’s 12th No. 1 single and the fastest chart-climber of their career, has over 5 million Spotify streams and a companion video with more than 5 million YouTube views. The tour announcement follows last week’s intimate hometown show at Chicago’s Vic Theatre (a special performance that airs today on SiriusXM’s Octane and Turbo Channels) and this past weekend’s set at the Austin City Limits Music Festival on a bill that featured Metallica, Lil Wayne, Justice and more. 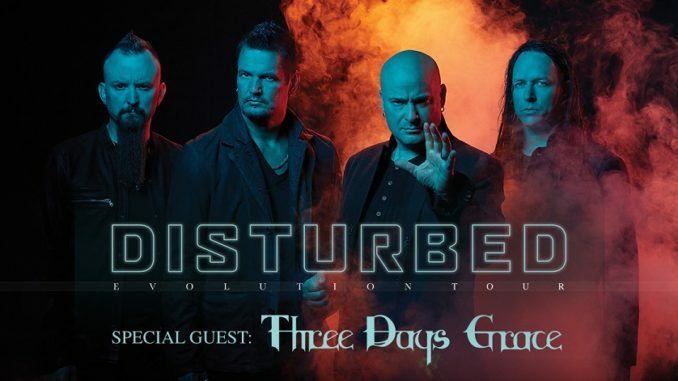 Disturbed recorded Evolution in Vegas with Kevin Churko, who produced their previous release, 2015’s Immortalized. That album became the band’s fifth consecutive #1 debut on the Billboard Top 200, earned a platinum certification, and yielded the triple-platinum crossover smash “The Sound of Silence.” The latter earned a GRAMMY ® nod for “Best Rock Performance.” Additionally, the band took home “Best Rock Artist” at the iHeartRadioMusic Awards and received acclaim from The Wall Street Journal, New York Times, USA Today, and more.